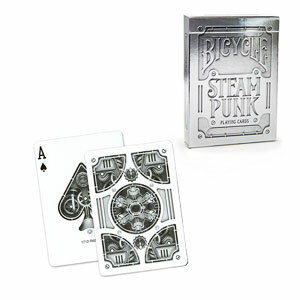 True Steampunk aficionados know it’s okay to mix metals—which is why we added the Silver Steampunk deck to our collection. 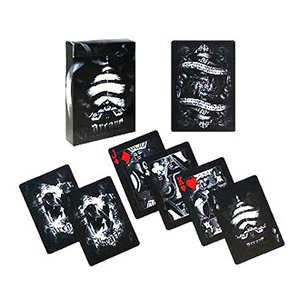 From the shining, embossed tuck to the metallic look on the court cards, the Silver Steampunk deck is evocative of its namesake’s affinity toward shining cogs and intricate gears. 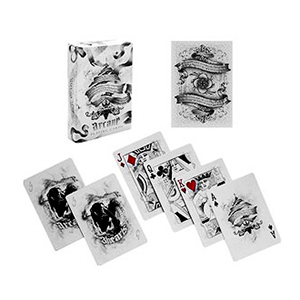 Silver Steampunk contains original artwork on the Ace of Spades, Joker, back design, and tuck. 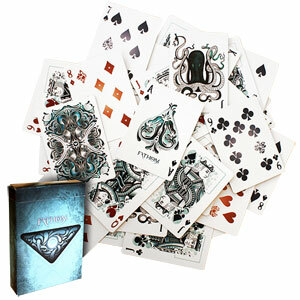 The tuck itself is embossed in polished, metallic contours. 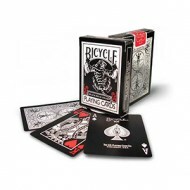 Made in the USA at The United States Playing Card Company on quality stock, with a premium finish. Αυτό το προϊόν προστέθηκε στον κατάλογό μας την Friday 19 April, 2013.